When the Apple Pay and Discover promotion first surfaced I got super excited. It was a chance to earn 23% cash back on virtually all shopping for a limited time. If you don’t remember or happened to miss it, the deal was basically 10% cash back or 10 miles per dollar spent when you used a Discover it card via Apple Pay in physical stores. To make the deal much sweeter, Discover offered to double your cash back or miles the first year, assuming you were a new cardholder. Since I already had Discover it, I applied for Discover it Miles, which incidentally offers 1.5 miles per dollar spent, meaning once you add the 10 bonus miles and double it, it equates to 23% cash back. While there was plenty of controversy over the promo, mainly because Discover changed the terms shortly after launch by explicitly excluding gift cards, many folks were still able to cash in. There was a limit of $10,000 in spending, and because the promo only lasted about three months, it was difficult to fully exploit it. Oh, and did I mention Discover credit limits are painfully low? All in all, I was able to spend about $7,000 via Apple Pay. I may have been able to spend more, but two things held me back. One, I didn’t buy a new iPhone 6s until October when my 24-month contract clock reset. And two, my credit limit was low so I had to keep paying it off and wait for it to refresh, which happened to take several days. In the end, I was fine with what I spent. I purchased a laptop and a desktop Mac from the Apple Store, along with lots of food from Trader Joe’s, plenty of gasoline, and hit various other purchases along the way where Apple Pay was accepted. Some restaurants I regularly dine at had Apple Pay. My wife also got a new laptop with her own Discover it card, and I made some purchases with her card on my own phone (she didn’t have a compatible phone so she wasn’t able to maximize this offer). Out of an abundance of caution, I avoided the gift card game because I didn’t want to deal with a dispute to get my miles/cash back. And I actually needed new computers and the food and gas, so it wasn’t mindless or unnecessary spending. Now the beauty of all this is that the ~$800 or so I already earned will double in a year. I already received $800 and direct deposited it to my checking account. In 12 months, I’ll get another $800 that I can deposit into my account, meaning I’ll walk away with some $1,600. If you factor in other purchases made on the card, that effectively earn 3% cash back for the first year, I may wind up with around $2,000 in cash back. That’s pretty good considering I didn’t need to do much nor alter my normal spending much. Sure, I had to buy a new iPhone, but I needed that too. And it was subsidized by AT&T. The real savvy players coupled this promo with the AT&T Access More Card from Citi to snag a free phone and take advantage of 23% cash back. I couldn’t be bothered with all that, but I’m still happy with my haul. How’d you do? 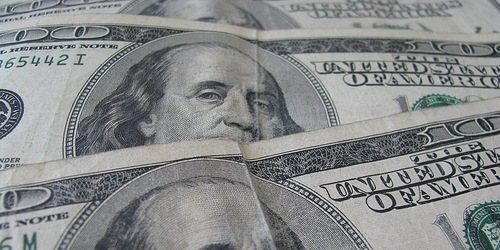 We’re you able to earn the maximum $1,150, which doubles to $2,300? Or in the case of the regular Discover it card, $1,100, which doubles to $2,200. Remember, the double cash back applies for the first year so you may still want to use your Discover card, especially if you can double the portal bonuses and the quarterly bonuses with the standard Discover it card. Oh, one last thing I wanted to mention. As a result of this promo, my credit score took a huge hit, per data from Credit Karma. I had a $5,000 credit limit on my Discover card and was up to $4,850, using roughly 97% of my total available credit. That sent my credit score down about 50 points, from excellent territory to just very good territory. Now this doesn’t matter because I’m not applying for any new credit in the near future. But for those who were/are, it could present a problem, at least in the near-term. 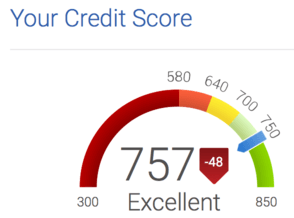 Of course, I expect my score to jump back to where it was once the credit bureaus see that I paid my high balance back down to zero. Previous Previous post: Can You Can Add Someone as an Authorized User Who Already Has the Same Credit Card?